Most women want to keep their skin soft, radiant and free of imperfections . In response to this, the cosmetics industry has developed hundreds of cosmetic products that combat the effects of free radicals and delay the appearance of wrinkles or attenuate them . In general, these products are usually quite expensive. However, there are homemade and natural alternatives that can help achieve the same effects without having to invest so much. Therefore, we are going to share some good options to rejuvenate the skin in a matter of weeks. The lemon juice contains a high concentration of vitamin C, which acts as a powerful antioxidant to protect the skin from the damaging action of free radicals. Its citric acid diminishes the spots and other signs of skin aging that develop from exposure to toxins and the sun. Use it only at night since exposure to the sun from acids can cause unwanted effects such as spots on the skin. The papaya is a significant source of vitamins A, C and E, and antioxidants that rejuvenate and moisturize the skin. It contains alpha-hydroxy acids that remove dead cells and all kinds of impurities derived from environmental pollution. 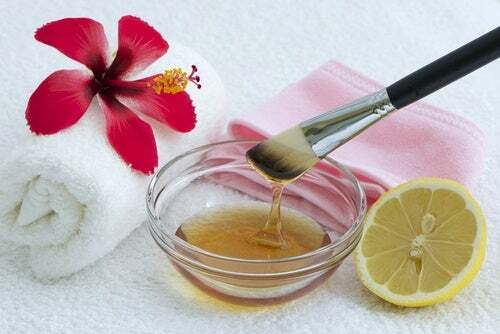 It can also be used as a treatment against acne and skin irritations. Apply 2 times a week. It is suggested to use it before going to sleep to act while you rest. The banana pulp contains moisturizing and repairing compounds that give a renewed appearance to the face. Its topical application combats the small wrinkles and lines of expression that appear in the contour of the eyes, neck and décolleté. First, crush a ripe banana until you get a creamy paste. Then, add 2 tablespoons of cream, honey and oatmeal. Add two tablespoons of water and mix well until you get the desired consistency. Next, spread the product across the face, neck and décolleté. Leave it for for 30 to 40 minutes and finally rinse. Repeat its use 2 times per week. Although most often discard them, the orange peel has essential oils and active ingredients that benefit the skin. Citric acid, vitamin C and antioxidants reduce oxidative stress and small spots caused by UV rays. First, dry the orange peel and, when it is thoroughly dry, grind it to a fine powder. Then, mix it in a bowl with the chickpea flour, the coconut oil and a little water. After obtaining a thick cream, spread it over the desired areas and let it act for 20 minutes. Apply 3 times a week. 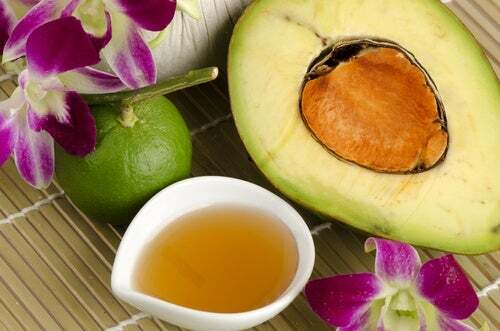 The avocado or avocado is one of the cheapest remedy for facial rejuvenation. Its essential oils moisturize the skin and help maintain its natural pH. It is recommended for dry skin or with some kind of sensitivity. It also reduces stains, scars and superficial burns . Mix the avocado with the spoonful of honey and the cream of milk in the blender. Clean the face and then apply a thin layer of the cream. Wait for him to act for 20 minutes and rinse. Repeat the procedure 2 times per week.